In 2016, Coastal Action transformed an abandoned shale pit mine into a beautiful 1 hectare wetland. 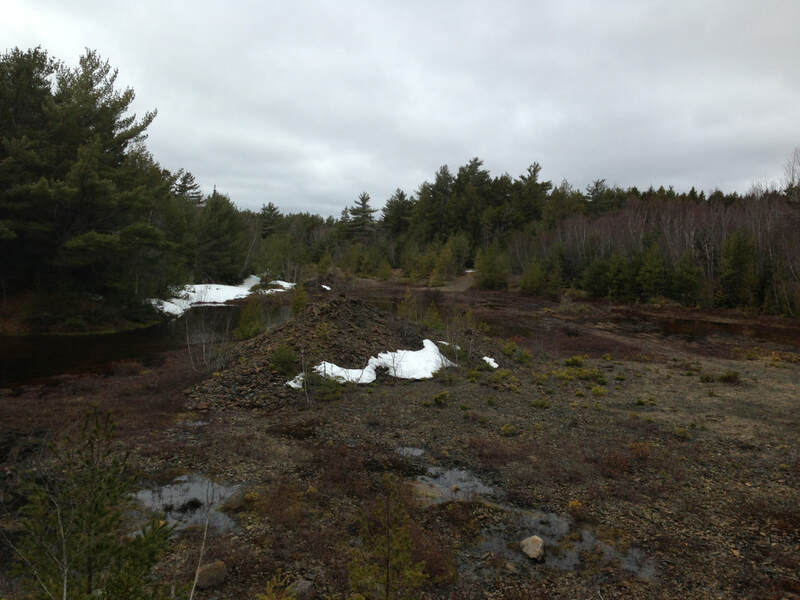 Coastal Action's water quality monitoring in the Petite watershed identified chronic acidification in Wildcat Brook caused, in part, by drainage from a nearby shale pit mine which was leaching acidic water into the stream. When exposed to oxygen, pryitic shale can release acid and metals into the environment which is detrimental to aquatic life. Covering this shale with organic wetland soils eliminates this exposure to oxygen; preventing further acidification of nearby waterways and creating valuable wetland habitat. Organic soils were spread across the 1 hectare site and seeded/planted with wetland vegetation. Weirs were installed to modify hydrology patterns, creating wetland habitat. Water quality and CABIN monitoring has occurred throughout the restoration process and has already revealed improvements in the pH of Wildcat Brook. This project also benefits the globally endangered Atlantic whitefish (Coregonus hunsmani), as Wildcat Brook flows into the only known habitat for this species. ​This project was completed in partnership with East Coast Aquatics Inc., and with financial support from the Federal Government's National Wetland Conservation Fund, the Town of Bridgewater, Nova Scotia Department of Transportation and Infrastructure Renewal, Nova Scotia Resource Recovery Fund Board, TD Friends of the Environment Foundation, NS Salmon Association’s Adopt-a-Stream Program and Clean Foundation. For more information, contact our Field Operations Lead, Emma Kinley, at emma@coastalaction.org.